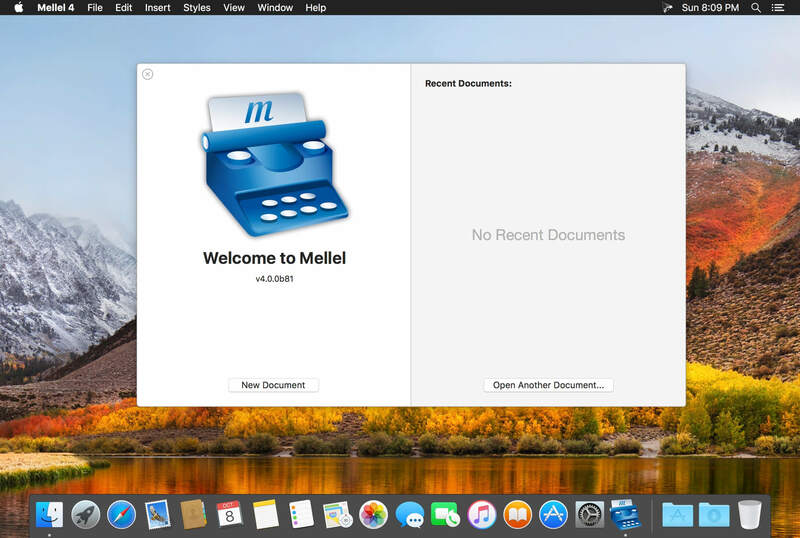 Mellel is the leading word processor for macOS and has been widely considered the industry standard since its inception. Mellel focuses on writers and scholars for technical writing and multilingual word processing. It offers special tools to help you write and organize long documents easily. If you need multilingual support or are writing bi-directional text, Mellel is just the thing for you: Arabic, Persian, Hebrew, and Syriac never looked better on a Mac. Even if you don't need all the bells and whistles, Mellel is still the right choice for you: clean, stable, and easy to use. Mellel gets the job done. It’s considered the leading word processor for complex documents. It’s stable. It’s trustworthy under real work pressure. Once you get it, you'll wonder why you wrote with anything else. 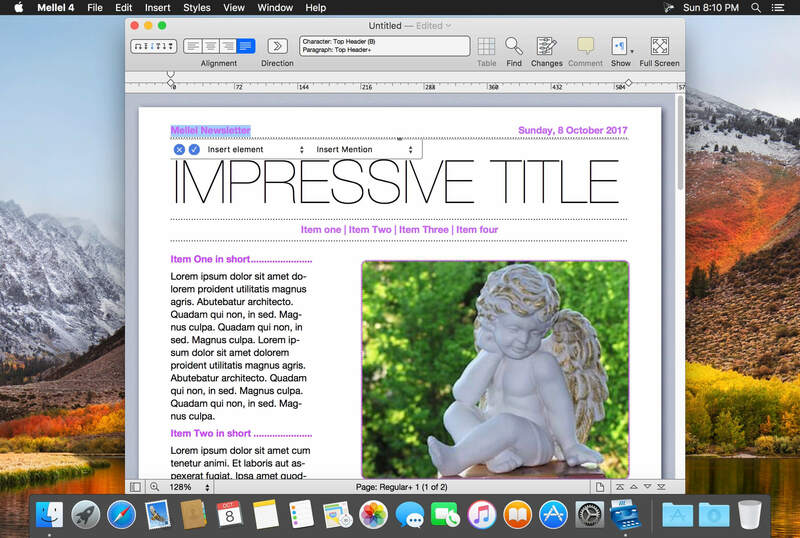 Mellel's superb Outline feature allows you to organize your work. 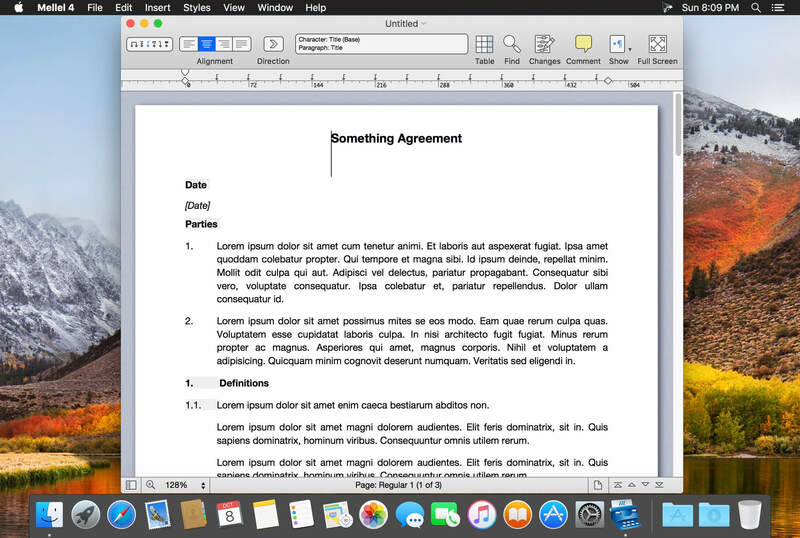 View, edit, and navigate your document. Reorganize sections with a click of your mouse. Mellel’s advanced find and replace tool turns hours of editing into minutes. Everything in any sequence can be searched, found, switched, and fixed. Save your find actions. Use them again and again to transform all your documents in seconds. Mellel was created to support multiple languages and script systems within the same document. It was the first and still is the best word processor for right-to-left writing systems. Create your index in half the time. Mellel’s Index feature tops similar tools in other word processors, and rivals dedicated Index applications.